EFS offers consolidated ocean freight forwarding services through ports across the world for export and import of goods. Cargoes of all volumes, shapes, types, and sizes. We provide Over Dimensional Consignment Mobilizing Services, Less Than Container Load (LCL), Full Container Load (FCL), Break Bulk Cargo Services, Hazardous Cargo Services, and Perishable Cargo Services, and Fragile Cargo Services to our customers. Load lifting machines like hoists and cranes are used for loading and unloading of such large volume of cargo and are operated by trained professionals to ensure flawless delivery. 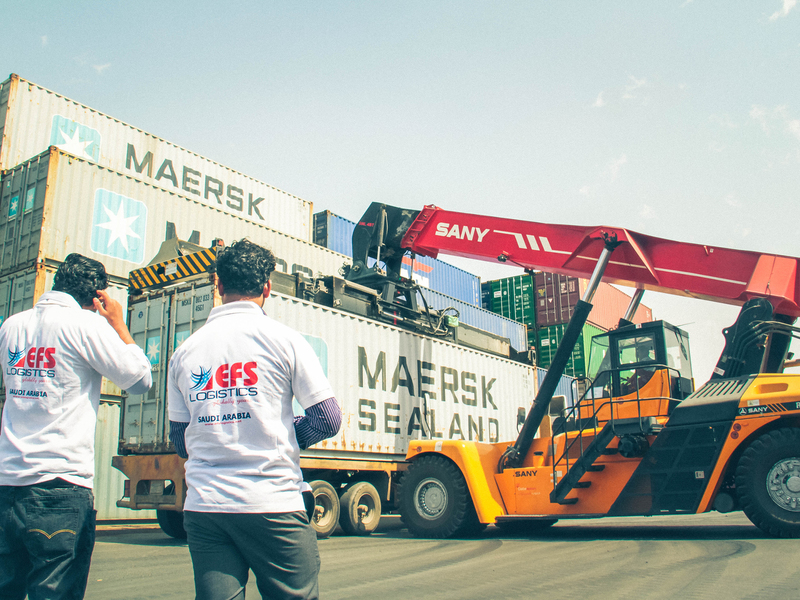 EFS provide regular consolidation services from several strategic regions of the world to various ports in the Middle East. We have our own consolidation service by sea from Saudi Arabia to different ports of the world using European & South East Asian Hubs. EFS, Jeddah owns CFS facility at Jeddah Bonded & Re-Export Zone (Free zone). The Import consolidated containers are discharged and delivered from this warehouse under our direct control. DDU & DDP shipments are handled professionally by our dedicated team of professionals. Transit shipment to GCC countries. A time effective solutions for European Shippers to send seafreights shipments to GCC countries such as Qatar, Kuwait, and Bahrain.